Below list of questions we are frequently asked about our splitter van hire service. If you don’t see the answer you need, just give us a call on +44 (0)20 7700 6555. How old do I have to be to drive? You need to be 23 or over and have held a full licence for two or more years. What do I need to bring with me when I collect the van? We just need to see your driving licence. If you have a UK photo card licence you MUST bring your paper counterpart as well. If you want anyone else to drive we will also need to see a copy of their licence/s as well. We prefer it if you can scan and email copies of licences in advance. How many drivers can we have? As many as you want! Do you accept foreign licences? Yes we accept the following foreign licences: EU, USA, Canadian, Australian, New Zealand, and South African. Can I leave my car with you during the hire? No sorry we only have limited forecourt parking but you can sometimes park on the road. There is controlled parking on Brewery road between the hours of 09.30 and 16.30 Monday to Friday and on Match days when Arsenal are playing at home, check their fixtures here. There are pay and display parking bays at both ends of Brewery road. You can also find pay to park places nearby, check out the Parkopedia website. Can we return the van overnight? Yes you can if you let us know first. Please see the returning your vehicle and the out-of-hours info in our booking section. Where is the key drop? It’s on the right hand side of the big blue shutter. Please see the picture in our booking section. Do we need to pay the congestion charge? 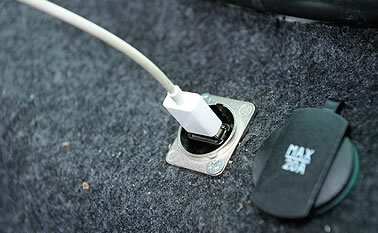 Generally no you don’t need to pay the charge as all our 9 seat splitter vans are exempt, and we have already paid the charge for our gear vans. We do sometimes get vehicles in that are not exempt though so please check with us if you are unsure. Does the van come with a full tank? Yes it comes with a full tank of diesel, please return it that way. It normally costs about £100 to fill up. Do you actually take the deposit? Yes we do actually have to take the full deposit of £500.00 + VAT. No we don’t just need a credit card number. Your deposit is usually returned within 3 working days of the safe return of the vehicle. What size is the van? All the dimensions are on the PDF specs in the download section. Can you let me know the registration number? We can give you the registration but bookings change all the time and we may end up having to give you a van with a different registration. Most ferry operators etc are used to this with hire vehicles. Is our gear insured? No it is up to you to insure your own equipment and belongings. What if we get a parking ticket? You will need to pay it or appeal it as soon as possible, do not just ignore it! If you don’t deal with it we will eventually receive it and have to redirect it to you, it will then become more expensive for you. You have been warned!! Can we take the van abroad? Yes if you tell us first so we can arrange the European Green card insurance which is required for you to drive on the continent. What do we do if we breakdown? Call the Matt Snowball office first on +44 (0)20 7700 6555 and we will advise of the best course of action. If we are closed you can call the RAC, their number is on the orange card which is stuck to the windscreen. The RAC will also come and change a tyre for you if you get a flat. You are responsible for paying for the repair/replacement of damaged tyres. What do we do if we are involved in a collision with another vehicle? Please take all their details including name, address, telephone number, vehicle make, model and registration. They will want the same from you. Please then notify Matt Snowball Music as soon as possible. Can you deliver/collect the vans? 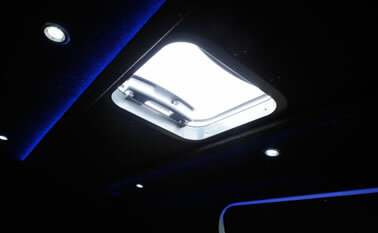 Yes approximate price to deliver within London is £55.00 + VAT. 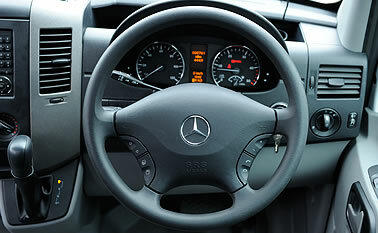 We can deliver elsewhere price will include driver’s wages, fuel, train ticket and/or taxi back. Does the van come with Sat Nav? 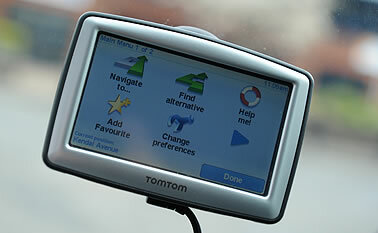 We have Sat Nav available to hire at £5.00 + VAT per day.